4 Ways to Prevent Termites | Coast to Coast Property Inspections Inc.
Termites are small but destructive pests that cause major concern for any homeowner. Commonly seen during the spring and summer months in termite swarms, the tiny winged insects enjoy meals of dead wood. Your home is at least partially constructed of wood, leaving it vulnerable to these pests and the massive structural damage they cause. In just two years, termites can destroy your home. It is important to learn how to prevent termites and avoid a termite problem that could potentially cause significant damage to your property. The exterior of your home gives termites easy access to your property. Check the roof for moisture and use a dehumidifier in your home if there is a problem. Check for broken, loose roof tiles and repair them quickly as well. Condensation from the A/C can cause water puddles to form outside, near the foundation of the home, attracting termites. Don’t let moisture build and have a professional check to make sure your A/C isn’t leaking! The wood beams in the attic are often a prime location for termite activity. Check the timber of the wood beams on a regular basis to determine if termites are near. Termites might be in your home if the wood feels spongy or hollow inside upon touch. Don’t leave cardboard boxes sitting in the attic, which can also supply termites the cellulose meal they crave. Use plastic tote containers to store photographs, knickknacks, and other items. Many food sources for termites can be found in the garage. Since it often connects to the home, it offers termites an easy entry point into your structure. It is important to thoroughly inspect the garage regularly to ensure that the pests are not unknowingly rooming with you. DIY termite bait placed inside of the garage may act as a great barrier against the pest. Your wood floor is quite appealing to a termite. The best way to avoid termite infestations is with regular termite inspections. While you can be aware of and look for signs of termites, be sure to hire an expert to provide a professional inspection at least once per year. Keep all of the furniture in the home away from the walls to further prevent termites. 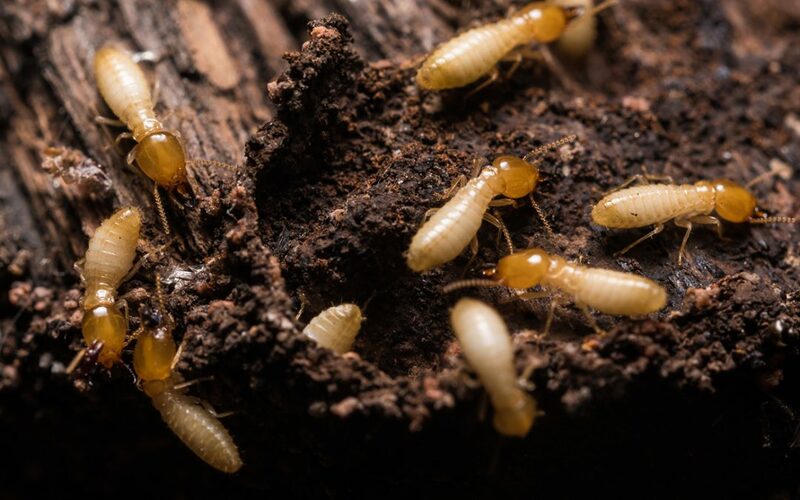 Termites are one of the many pests that homeowners must keep an eye out for if they want to protect their home and their valuable investment. The pests are extremely destructive, not to your health, but to your home. The damage the pests leave behind can be severe. Learn how to prevent termites and you’ll reduce the risk of a termite infestation that can cause serious damage to your home. Coast to Coast Property Inspections offers home inspection services including termite inspections in Southeastern Florida. Contact us to schedule any of our services.